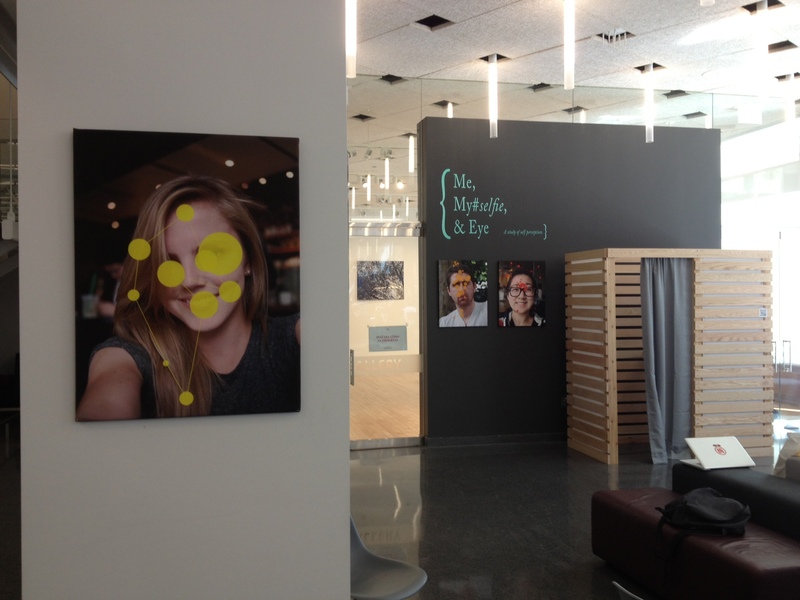 We are excited to feature a recent project developed using the new GP3 eye tracker. Students from the SAIC School of the Art Institute of Chicago put together a fascinating exhibit about self perception entitled “Me, My#selfie, & Eye”. 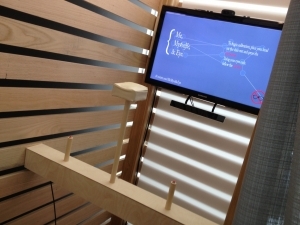 The installation allows visitors to take a “selfie”, or a picture of themselves, and then allows them to view where they look on this picture thanks to the GP3, Gazepoint’s low-cost, high-performance eye tracker. Plans are in place for further optimization of the exhibit for an eventual permanent installation at Northwestern. 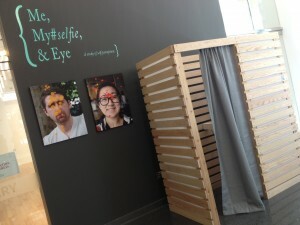 The team behind this work is tweeting the various pictures and gaze overlap on their twitter account at https://twitter.com/Memyselfieeye. Applications like these are why we decided to build an affordable eye-tracker in the first place – to facilitate innovation in the broadest possible range of domains, from those that traditionally use eye-tracking like usability research to newer domains like art. We find it especially rewarding when we hear that the team at Northwestern put together this exhibit in just 10 days! To us, this speaks volumes about how user-friendly the GP3 is, even for those who might be new to eye-tracking. 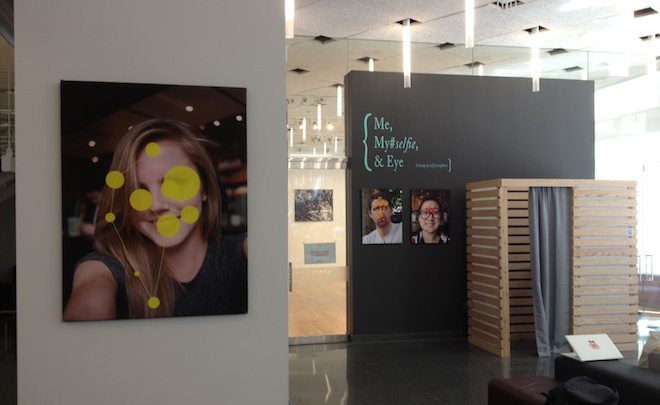 We are honored to be part of Me, My#selfie, & Eye, and are looking forward to hearing about more creative applications of eye-tracking in the future!